Smartphones with excellent cameras and the capability to record high definition video aren’t hard to find any longer. In fact, they’re all over! 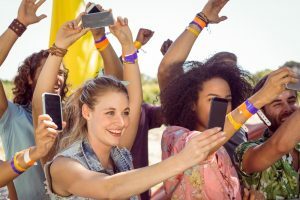 Skilled video content makers are discovering that using their mobile phones to make a video has numerous big benefits. Cell phones are ever-present and everyone always has their phone on them. Spontaneously and swiftly capturing video doesn’t necessitate carrying around huge video cameras when an unanticipated chance shows itself. Many apps are available for both Android and Apple phones that increases the functionality of the video camera, offering digital effects abilities and cutting-edge editing, as well as giving an immediate way to upload finished videos for viewing and distribution. Perhaps most vital is that as phones have become able to do more, video amateurs are discovering that getting into entrepreneurial filmmaking is much more reasonably priced. Even though it’s good to have a mobile phone with an amazing camera, using poor video making methods will possibly result in a poor video product. Just because you use a high-price hammer with all the attributes money can buy, it doesn’t ensure that you will construct a marvelous house without good technique and practice. In other words, it’s how you use it more so than what you use. Correct lighting has a big impact on smartphone cameras since they have littler lenses and image sensors. Try as hard as you can to shoot your video in vibrantly lit areas. This will aid in preventing grainy areas and avoidable shadows in your video. If you don’t want your video footage to be blurred or distorted, the best thing to do is to ensure your phone remains steady while videoing. Use both hands to keep your phone close to your body as possible while you record. « Are Airpods Worth the Money?